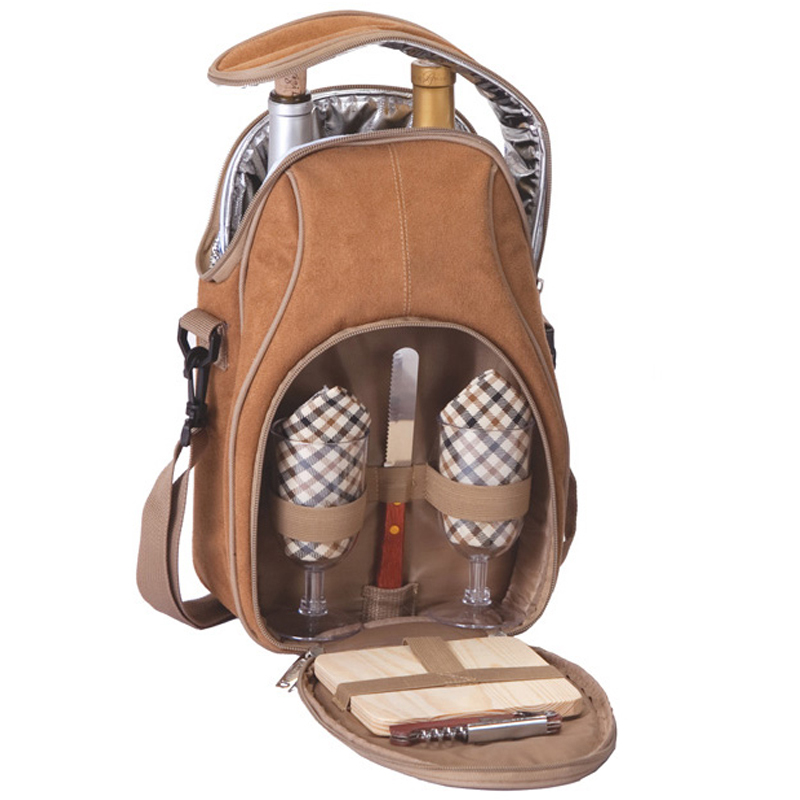 The Brava Wine and Cheese Set is a classy take along tote that holds two bottles and includes all you need for your day or evening out. The interior of the bottle compartment is full lined with thermal foil to keep cold wines cold for hours. 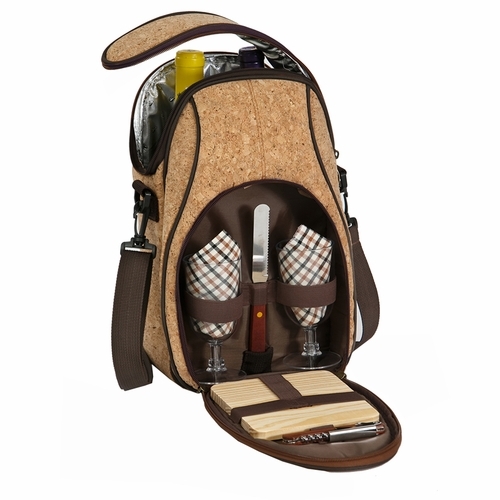 The cotton napkins, acrylic goblets, cheese board, cheese knife and corkscrew are all contained nicely in the front zippered compartment with elastic straps. 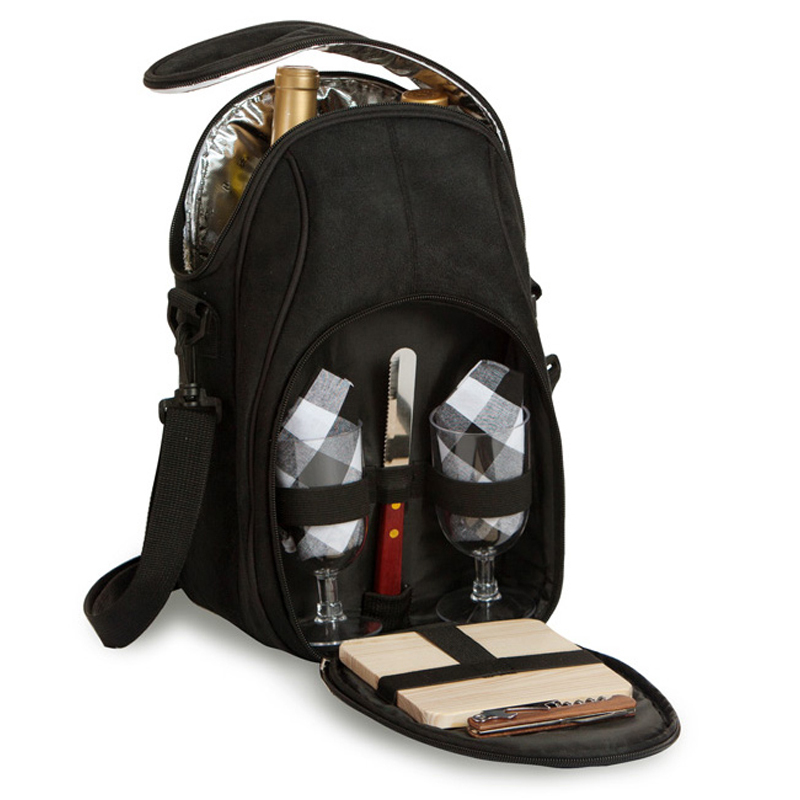 You can make your set a personalized wine and cheese set by adding a name or monogram to the front of your carrier. 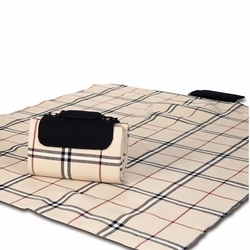 The Brava is a popular gift for weddings and holidays. 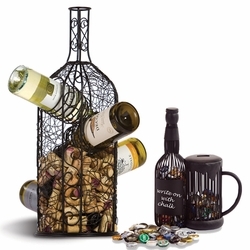 This item is available for large events or corporate gift giving. Contact us directly for information on adding a logo or event name. Laser Engraving and Screen Printing is available on this item with a minimum purchase of 12 pieces. All sets must be engraved with same message or logo. There is a one time Logo/Message Set Up Fee of $45.00 plus an additional $5.00 per item. The Logo/Message Set Up Fee of $45.00 is per order, NOT per item. You may contact us via email for questions regarding Laser Engraving. You may also go forward with placing your order for a quantity of 12 or more of this item and email your logo or message, after the order, to customerservice@andersonavenue.net. We are happy to work with you to make adjustments for additional engraving specifications and charges after the order has been placed. Orders will not be processed for production until all engraving costs have been paid in full. Please note that Laser Engraving and Screen Print production time is 2-4 weeks minimum from the order date.